By Sunday, just three bottles remained. 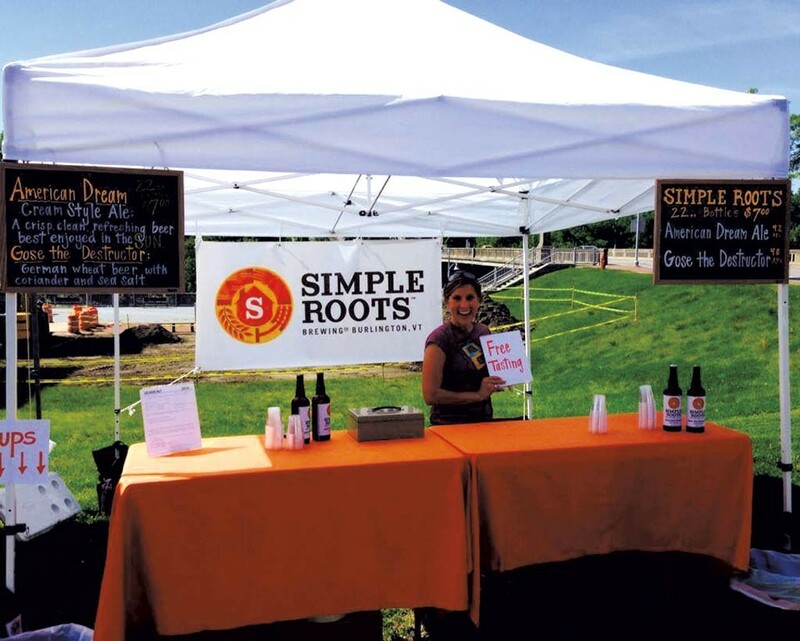 Last weekend, Burlington's Simple Roots Brewing made a smashing debut at Burlington and Winooski farmers markets, blowing through about 250 bottles of beer in tastings and sales between the two locations. This weekend, the brewers will be back with their American Dream cream ale, a bright, refreshing brew made for easy summer drinking, while they finish off other potions back at the brewery. Dan Ukolowicz (a former Zero Gravity Craft Brewery apprentice) says he and his wife and brew-partner, Kara Pawlusiak, dubbed their brewery Simple Roots as both moniker and mandate. "We really wanted to make simple, subtle, quaffable beers our friends and family would enjoy," he says, and notes that because Vermont is already home to so many incredible IPAs, the pair purposely decided to take their practice in a less hoppy direction. Cream ale will return this coming weekend, and they'll be pouring pale ale on the weekend of June 14. In late June, look for a slightly tart German wheat beer with salt and coriander called Gose the Destructor. Later this summer, look for small-batch specialty releases, including an elderflower saison, all brewed at Ukolowicz and Pawlusiak's three-barrel operation in their house in Burlington's New North End. Because their brewery is home based, they're not planning a taproom, so farmers markets are where Simple Roots is at for the foreseeable future. The original print version of this article was headlined "Farmers Market Brew"